2015 – that was the year that was – Open Data Aha! 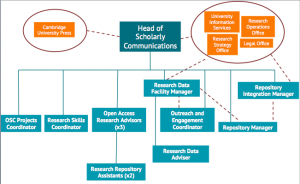 This Unlocking Research blog provides information and analysis on issues relating to Scholarly Communication, Open Access, Research Data Management and Library matters. The blog is well used, with over 16,000 visits since launching. The post with the greatest impact was Dutch boycott of Elsevier – a game changer? with over 3,500 visits in the first week before it was reblogged by the London School of Economics.